Accountancy is the process of communicating financial information about a business entity to users such as shareholders and managers. Accountancy describes the duties of an accountant, the person whose job is to keep, inspect and interpret financial accounts. Solving Sample Papers will give confidence to students for preparation of exams. It is the best way to test your preparation for exams and test your ability to solve the problems. 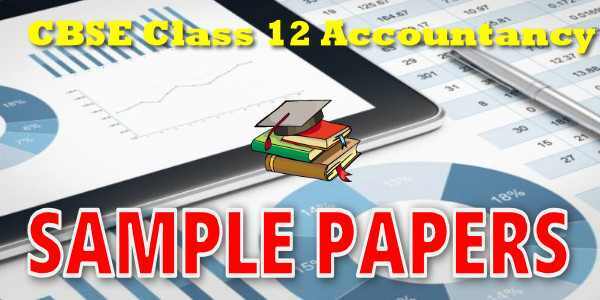 These class 12 Accountancy 2019 sample papers Pdf are very helpful for CBSE exam. You can download CBSE sample papers for class 12 Accountancy 2019 in PDF format with Solution. These sample papers are also available in the myCBSEguide website and mobile app for free.